Your students will have an easier time learning to read, write, and figure if they have practice worksheets to aid them in their learning. Old timers copied their letters and figures, your students can, too, with little teacher involvement through the exercise. 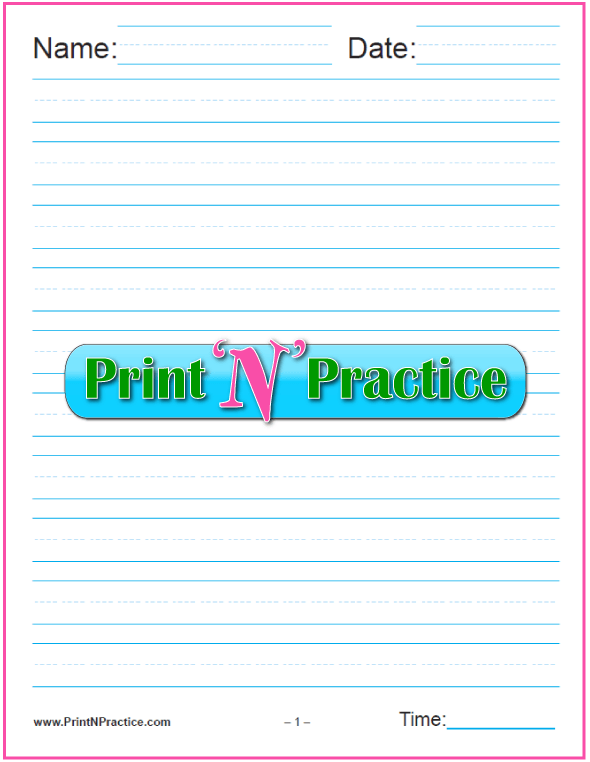 PrintNPractice worksheets are free, easy to print and easy to use. We keep our worksheets easy on the ink. 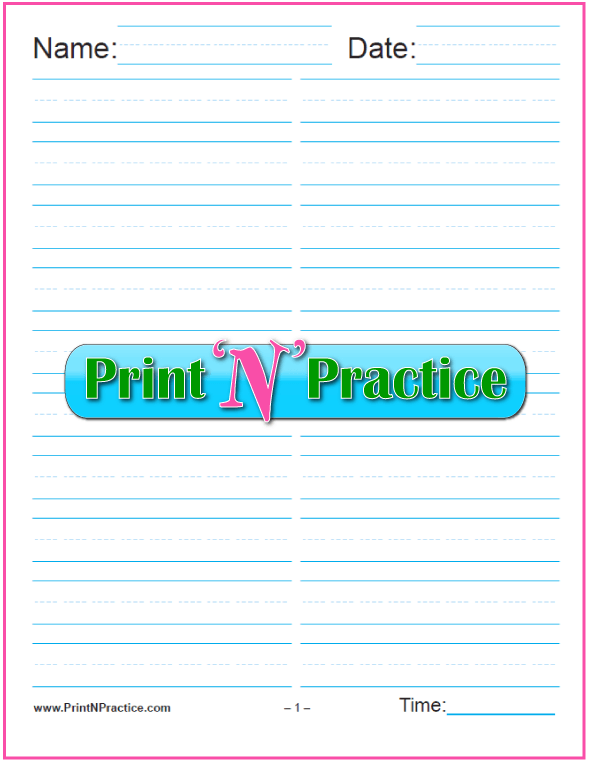 Enjoy our ever growing list of printable Math sheets, Kindergarten Reading and Writing worksheets and other Kindergarten activities. 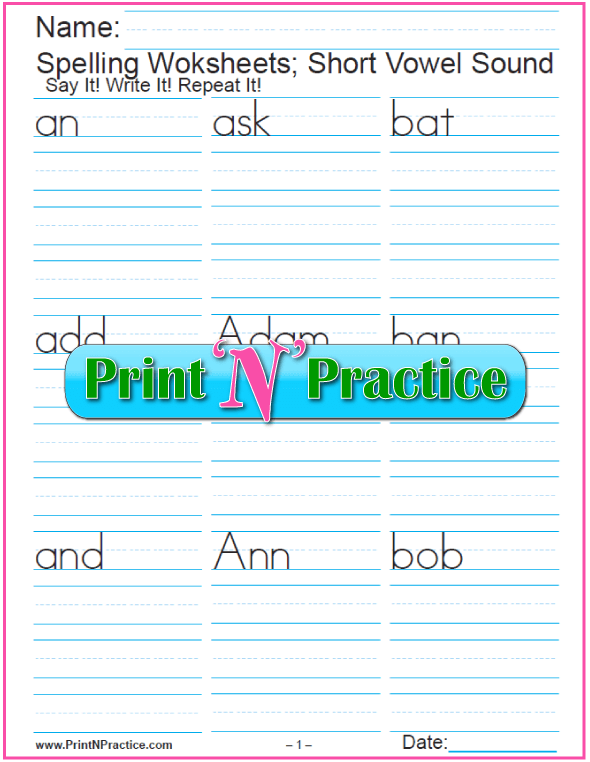 We love kindergartners, and love creating free printable worksheets for them! Enjoy our selection! We love children and want to make their day filled with learning - by way of practice. Our Kindergarten worksheets teach writing numbers, Math shapes, and the Math facts that you can use as you please! Your students can learn writing numbers, Math shapes, and the basic Math facts. Learning to count and write the numbers are the most usual skills necessary for Kindergarten Math. Practice makes these skills easy. Phonics Worksheets and Flash Cards Worksheets and Flash Cards have ruled lines. 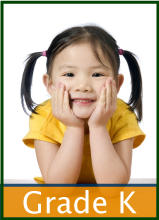 Long and short Vowels Video - Learn the long and short vowel sounds. Alphabet Worksheets - With space to trace and copy. Reading Worksheets - With nursery rhymes, Pledge, & Star Spangled Banner. My favorite Kindergarten Reading programs are those that relate to Dr. Orton's findings. Actually, the Phonics part of his work had been known for many years deep into the 1800s. The sounds of the letters are what make letters into meaningful words. We don't say the names of the letters as we read, only as we spell. 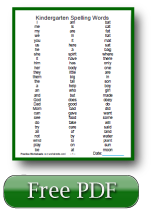 If you use our Kindergarten printable worksheets with this in mind, your students will remember more of their work longer. I love teaching reading and writing to Kindergarten children. It can be frustrating though. So many times, Kindergarten programs offer so much coloring and tracing that there is no time for real reading and writing. This is great with students who are physically too young for reading, but it doesn't help those children who are really ready to start school. 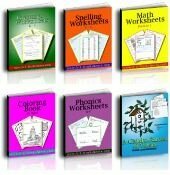 You can see more reading resources on our Phonics pages listed below and you can buy all seven years of K-6 spelling sheets in one handy bundle with files already made. If you are fortunate enough to have students who are ready for Kindergarten writing, you'll love our site. Frequently many kindergartners know their ABCs already. Most still need practice making the letters and knowing their names and sounds. We think that learning the basics in order first is the easiest way for kindergartners to learn reading, writing and arithmetic. Not here. Our worksheets are for building skills. Even when assessment is important, basic practice worksheets are great for teaching and for building confidence in your students. At the Preschool and Kindergarten ages a little work goes a long way. Take just a few phonogram sounds at a time until they are learned, but only do this for a few minutes at a time - then do it frequently. Once the first few sounds and letters are learned, teach the next few phonics sounds. 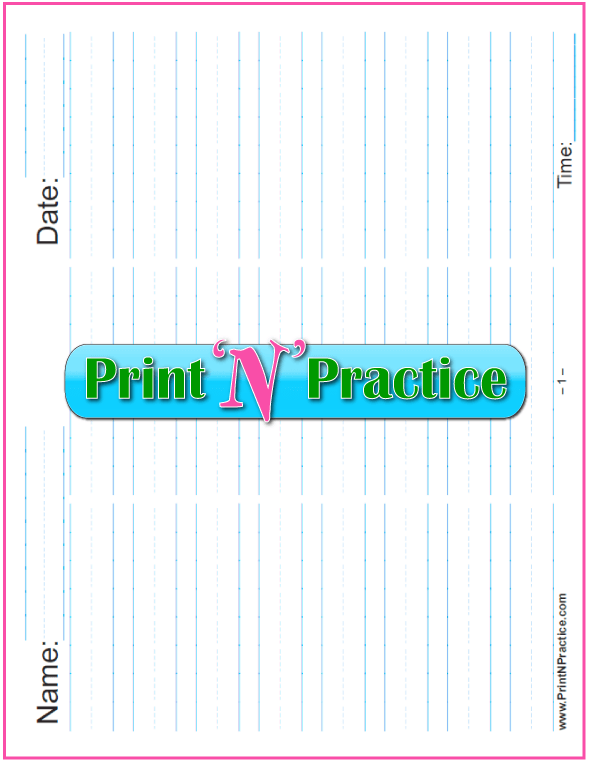 We have loads more printable lined writing paper here in smaller sizes and with columns. There are also wonderful holiday themes. 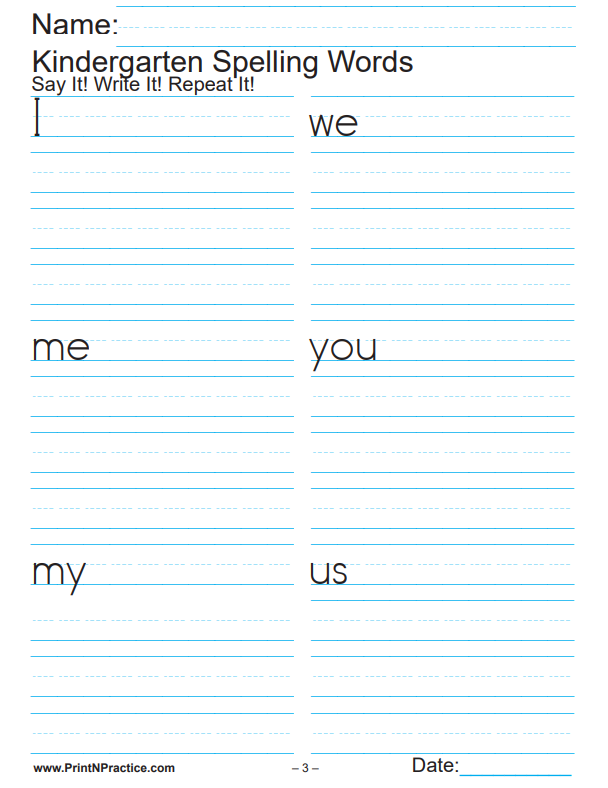 You might also like our First Grade worksheets.